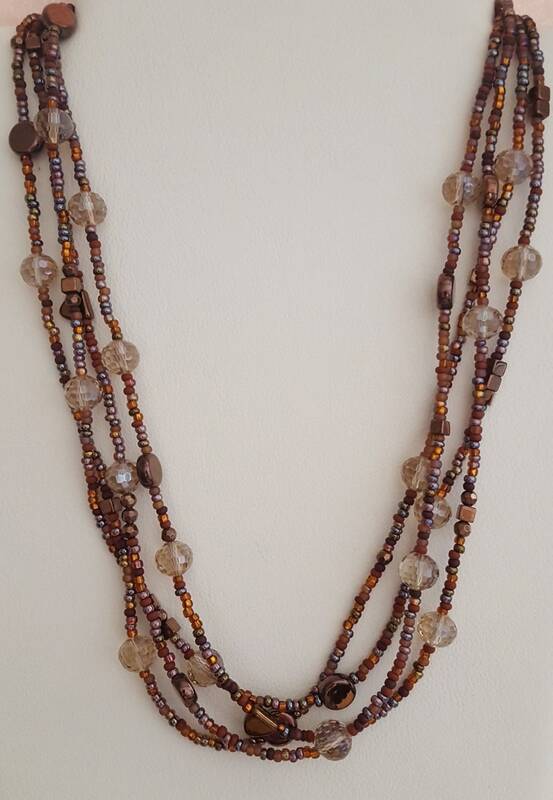 Czech glass and copper, bronze and matching color seed beads. Four strands 22". 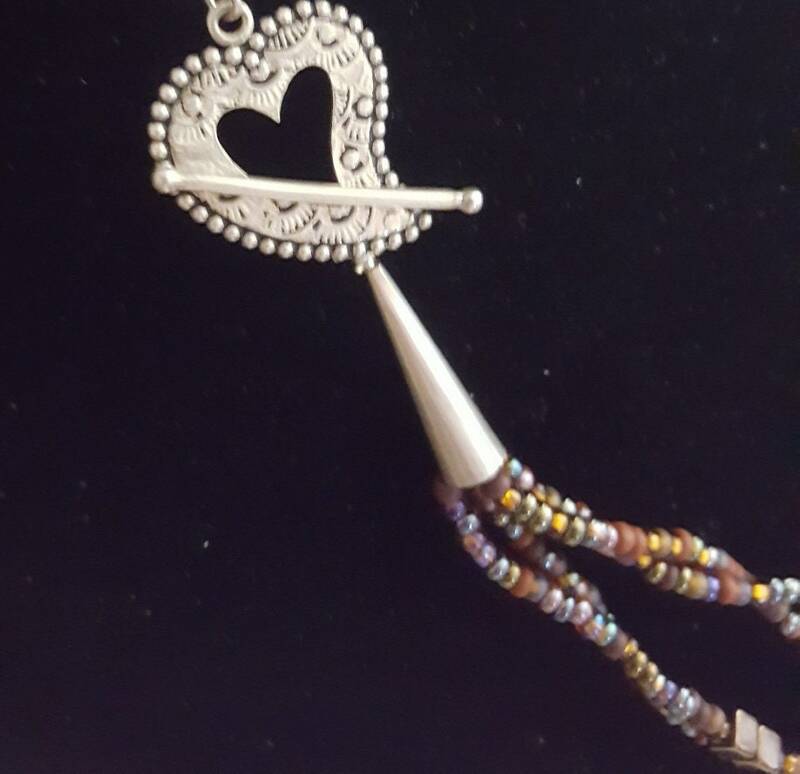 Pretty Sterling Silver Heart clasp.